Professor Gordon H. Sato, a pioneer in understanding the protein growth factors that allowed mammalian cells to grow in tissue culture, died at the age of 89 on March 31. As an outcome of his work at UC San Diego, Gordon and coworkers made the first monoclonal antibody against the EGF receptor (now called Eribitux or Cetuximab) to be developed into an effective therapeutic for human cancers. After he left UC San Diego, Gordon became the Director of the W. Alton Jones Cell Science Center in Lake Placid, NY. Gordon’s father was a Japanese immigrant. At the start of World War II, Gordon and his family were “relocated” to the Manzanar camp in the Owens Valley. Gordon was a PhD student at Caltech with Max Delbruck and a professor at UC San Diego from 1969 to 1983. He was elected to the National Academy of Sciences in 1984. While at the Jones Cell Science Center, Gordon founded the Manzanar Project, which was aimed at the development and dissemination of mangrove forest-based aquaculture that could provide food and income for poor countries. This was particularly successful in Eritrea, where approximately one million mangroves were planted in desert coastlines, which allowed villages to prosper in a country that has little arable land. A significant finding of this work was that the judicious application of nutrients could turn otherwise sterile intertidal regions into productive ecosystems. Gordon is survived by his wife C. Josette Gaudrea, his children Denry, Susan, Nathan, Nancy, Sara and Amy and by six of his grandchildren. 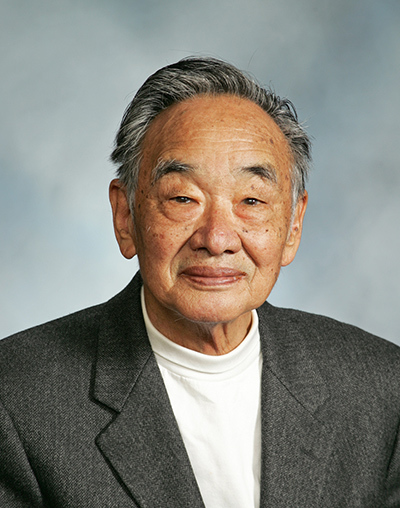 In lieu of flowers, the family requests that donations be made to the Gordon H. Sato Endowment in the Division of Biological Sciences at UC San Diego.